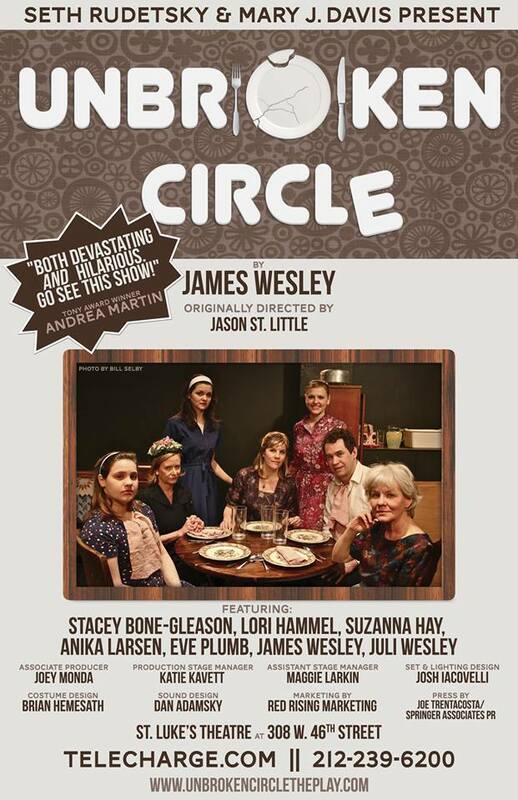 “Unbroken Circle” by James Wesley opened at St Lukes Theatre, June 19, 2013, and closed October 6, 2013. 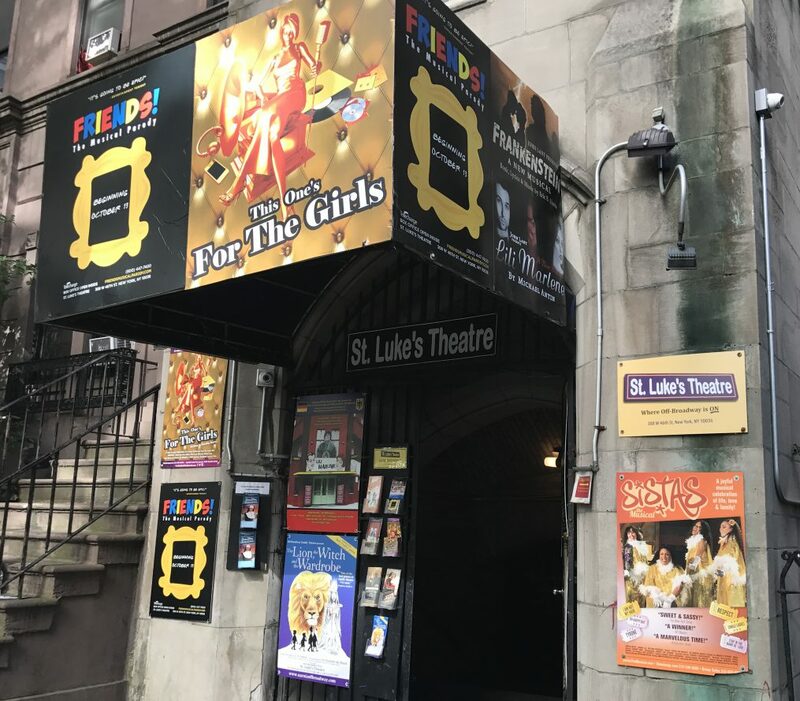 The play starred Suzanna Hay (Dance of Death), Eve Plumb (The Brady Bunch, Miss Abigail’s Guide to Dating), Anika Larsen (Xanadu, Zanna, Don’t), Lori Hammel (Forbidden Broadway, Mamma Mia), Stacey Bone-Gleason (recent NYU grad), James Wesley and Juli Wesley (James and Seth’s 12-year-old daughter). This entry was posted in Past Productions and tagged james swesley, St lukes theatre, unbroken circle. Bookmark the permalink.